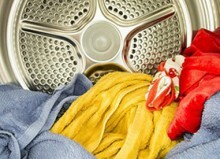 Gas Dryers vs Electric Dryers - Which is the Better Buy? You need a new clothes dryer. 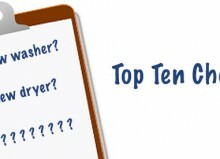 To determine what to buy you want to know gas dryers vs electric dryers, which is better? 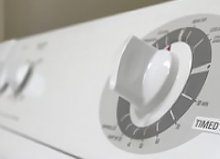 There are a few important things to keep in mind before you make your next dryer purchase. Electric dryers are, by far, the more popular option. 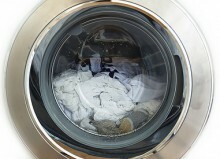 According to the Natural Resources Defense Council, 79% of the almost 90 million residential clothes dryers in use in the United States are electric rather than gas. 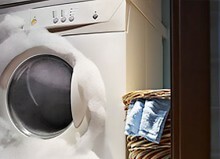 Electric dryers are less expensive at the time of purchase, and easier to install. 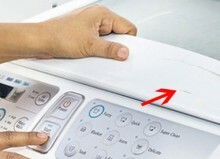 Depending on the model you choose, an electric dryer may or may not require a ventilation system. Gas dryers, on the other hand, always require ventilation. The low cost and relative ease of installation makes electric dryers an appealing choice for many renters and homeowners. 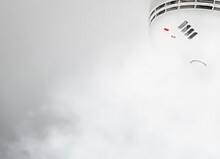 It should be noted, however, that because they get hotter than gas dryers, electric dryers present a bigger fire risk in the event that an excessive amount of lint is allowed to accumulate in the machine. This is a threat which is easily prevented by regular cleaning of lint catchers. Gas dryers are more expensive at the time of purchase and require more work to install, but they may be more cost-effective in the long term. A gas dryer can cost as much as $50-100 more than comparable electric models. They also require a dedicated gas line. If your home is not currently equipped with the appropriate hook-up for a gas dryer, it will need to be installed by a professional. But once the additional up-front expenditures are taken care of, gas dryers tend to be less expensive to maintain and don’t require as much energy to run. They heat and dry your clothes faster than electric dryers. That makes them more energy efficient and leads to less wear and tear on your clothing. 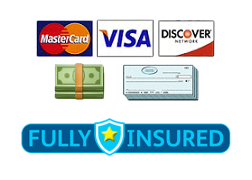 You may find that you recoup your initial expenses relatively quickly. 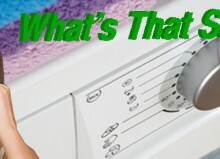 Potential buyers should always review local gas and electricity rates to determine which dryer is best for their home. 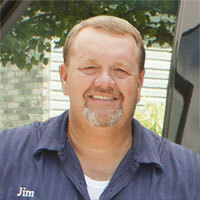 Superior Appliance Repair is ready to help Missouri residents with all their appliance repair needs. 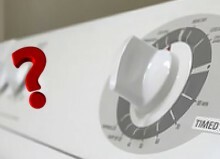 Even though your dryer may be broken, it’s possible an easy fix could keep it running for a few more years. It’s worth a call to save some bucks! Contact us today to speak with a qualified expert.